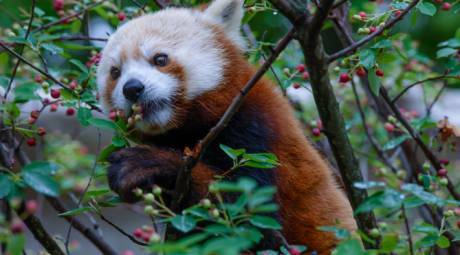 Everyone loves the playful red pandas. The adorable creatures, which are actually closer related to raccoons than pandas, get their names because of their love for bamboo. 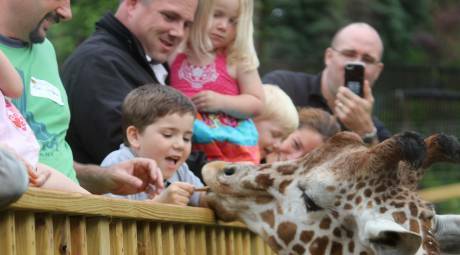 We were so excited when the zoo announced that the giraffes would be staying at the zoo year-round starting in 2016. 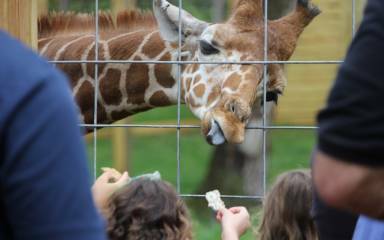 That means more chances to hand-feed these magnificent (and cute!) creatures. 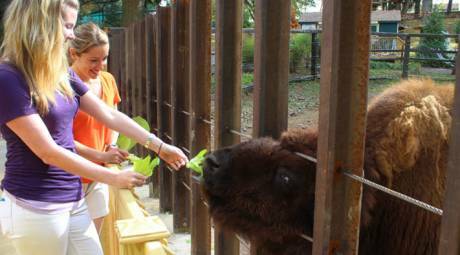 Hannah and Mackenzie are two of the zoo's newest residents, and two of our absolute favorites! 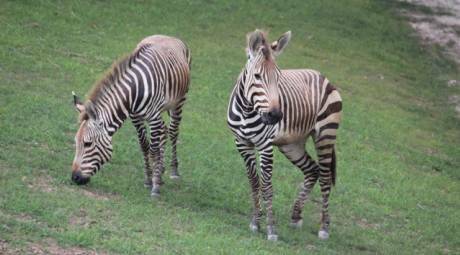 Hartmann's Mountain zebras are native to southwest Africa, but we think the pair fit in perfectly in Montco. 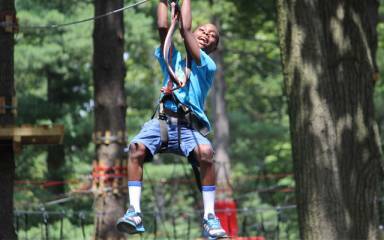 One of the most majestic birds, the bald eagle holds a special place at Elmwood Park Zoo. 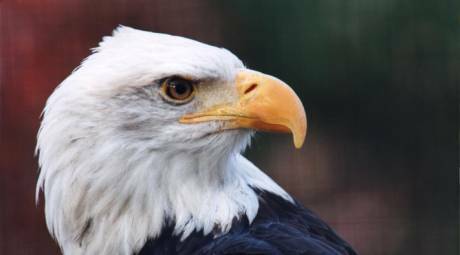 Noah, the Zoo's resident bald eagle, is also a local celebrity, appearing on the sidelines of every Philadelphia Eagles home game. The American bison is the largest North American land animal. 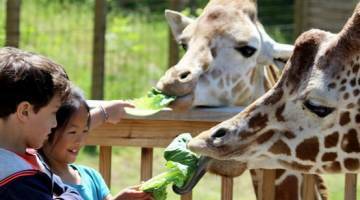 The Zoo has four in residence: Tatonka, Dakota, Wendy and Francis, and guests have the opportunity to hand-feed them year-round. 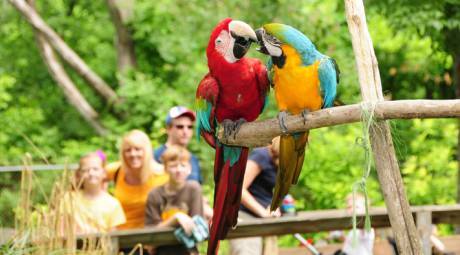 Macaws are some of the most colorful birds in the wild and a true attraction at the Zoo. While macaws remain throughout the year, more tropical birds—the canary-winged parakeet and sun conure—arrive seasonally for the Birds of Paraidse exhibit each summer. 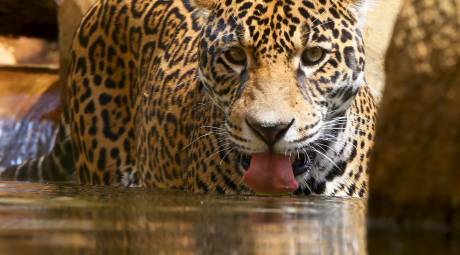 Jaguars once roamed free from Arizona to Argentina. Today, Jaguars are rare in the wild, but Elmwood Park Zoo is home to a pair of them: Zean and Inka. 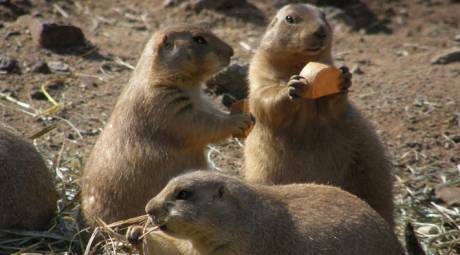 Native to the Great Plains of the United States, black-tailed prairie dogs are some of the most entertaining animals at the zoo. The name is a bit of a misnomer as prairie dogs are actually relatives of the ground squirrel, not canines. 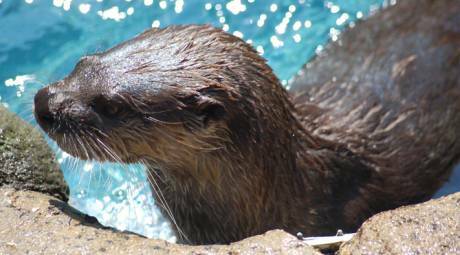 A pair of North American river otter are the only aquatic mammals that call Elmwood Park Zoo home. Rocky and Arya can be found year-round in the wetlands exhibit area.